It's no big secret that a fresh coat of paint can dramatically improve appearances; whether inside or out, old dingy paint that is replaced with bright, vibrant paint will make a huge difference. In San Francisco, home painters are not difficult to find, but hiring the right one can be difficult. Getting the best paint job for the best price is worth a little legwork, and knowing a little of the ins and outs of a good painting project can be a big help when choosing a painting company. On the surface, painting a house is a relatively straight-forward task; because of this, instead of hiring a home painter, San Francisco residents may decide to take on this job themselves. While it is certainly possible for a homeowner to paint their own interiors and exteriors, the project can be a bit more complicated than many folks realize. Many home improvement centers will rent you professional painting supplies and give you advice about what paints are appropriate for specific situations. However, using this equipment properly and getting professional results can be difficult if you don't have experience. The likelihood of wasting paint is high, and the probability that a first timer will get the same results as a professional San Francisco house painter is low. If you decide to paint your own house, there's good reason to calculate the cost of equipment rental/purchase, material costs, and the time it will take for a do-it-yourself job and compare it to how much it will cost to hire a company to do the work for you. There are many benefits to hiring a local San Francisco home painter that are easily overlooked. While the time and effort you will save compared to a DIY job is pretty obvious, the biggest reason to hire a pro is the end product. Not only will your home painters be well versed in the equipment and materials involved in the process, they will also be able to give you sound advice concerning the type (as well as the brand and color) that they've seen work best in your area. Additionally, professional San Francisco house painters are far more efficient than most homeowners could ever hope to be; there's a good chance that they will be able to complete every step of the project (without cutting corners) far faster than the average homeowner. Another reason to consider hiring a pro is the fact that prep-work can get pretty involved, especially for an exterior project. 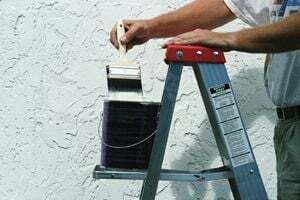 While using a professional grade paint sprayer might take a little practice, and using a brush or roller is something that most people know how to do almost instinctively, preparing the outside of your home to hold paint can be a far more involved process than you think. It can easily involve things like sanding, and may involve replacing worn out or rotting boards and siding. San Francisco house painters are well prepared to handle all the prep-work that will be necessary. For interior house painting, San Francisco residents can expect costs to range anywhere from $800 to $7,000 (though the most common figures we see are generally in the $1,500 to $3,000 range). Exteriors are a little more expensive; while many of the jobs we've processed in San Francisco are less than $5,000, we've also seen a few go for $10,000 or more! There are plenty of home painters in San Francisco, and finding the best one for the lowest price rarely happens on the first try. There's good reason, therefore, to talk to several different companies and get a few different quotes before you settle on one! Comment: two rooms for sure, possibly part of a third room All cielings, a long 25 foot hallway and stair way . Prep work for patching knicks. Everything is lath and plaster. Comment: I would like to get an estimate for 94117 custom painting your ceiling and wall, Tim Wicks did the work originally in 2005-2006 project managed by Heidi Blair. San Francisco Painting Contractors are rated 4.79 out of 5 based on 243 reviews of 30 pros. Not Looking for Painting Contractors in San Francisco, CA?